By the time Francis I of France and Henry VIII of England both died in 1547 AD, attacks by the Ottoman Empire were less of a problem. But civil war within Europe was more of a problem. All of Europe was beginning to fall into the Wars of Religion. Catholic rulers were fighting a widespread Protestant people’s movement. We call this the Protestant Reformation, because the Protestants said they were reforming – changing and improving – the Catholic Church. Who ruled France during the Reformation? From 1560 to 1589 France was mostly under the control of Francis’ son’s wife Catherine de Medici. 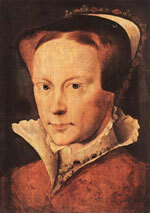 Catherine was originally from Florence, from the powerful Medici family there. She managed to keep all her sons on the throne, and herself in power. But she could not stop the civil wars between Catholics and Protestants. Catherine also negotiated with the Ottoman ruler, Nurbanu Sultan, to try to unite against the Holy Roman Empire. But she didn’t have any more success than Francis had. Who ruled England during the Reformation? England also continued to suffer religious civil wars, first under Henry’s daughter Queen Mary (a Catholic woman known as Bloody Mary) and then after 1558 under Mary’s sister Queen Elizabeth (a Protestant). Mary killed a lot of Protestants, because she wanted everyone in England to be Catholic. 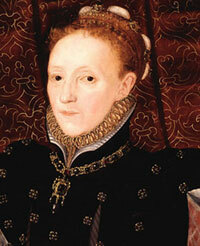 Then Elizabeth made it illegal to be Catholic, because she wanted everyone to be a Protestant. But she didn’t kill people for their religion the way her sister had. Who ruled Germany and Spain during the Reformation? Charles Quint, in the Holy Roman Empire succeeded better than England and France in walking that narrow line between Catholics and Protestants. He kept peace in both Spain (as a Catholic country) and Germany (mainly as a Protestant country) and ruled both. So the Wars of Religion got worse after Charles Quint died in 1558 AD. With Charles and Mary gone, England’s new Queen Elizabeth abandoned Charles’ alliance with England. She began to seize control of world shipping as Charles had done before. Now Elizabeth’s friend and admiral Sir Francis Drake attacked and burned Spanish ships. Queen Elizabeth also tried to make an alliance with the Ottoman ruler Nurbanu Sultan against Spain. Elizabeth suggested that Protestants like herself were closer to Islam than Catholics, because they didn’t worship statues and believed in only one God instead of the saints. But this came to nothing, because Nurbanu died in 1583. 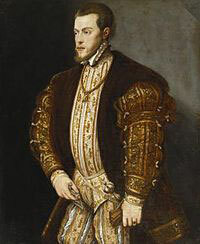 Charles V’s successors in Spain finally tried to destroy England’s fleet in 1588, but they lost. Elizabeth’s navy (helped out by a big storm) destroyed the Spanish Armada (the ships). It was a great victory for England – and a great defeat for Spain. From then on, England controlled world trade – including buying African people and selling them as slaves in the Americas – and got richer and richer as Africa, India, and Central Asia got poorer. British slave-owners used enslaved Native people and Africans to produce sugar, and to dive for pearls. By 1600, British settlers were beginning to take land along the East Coast of North America from the Iroquois and other Native people. Looking for a second source about Europe in the 1500s? The Encyclopedia Britannica has a short summary. Did you find out what you wanted to know about the Protestant Reformation and Early Modern Europe? Let us know in the comments! Cite this page: Carr, K.E. Protestant Reformation – Early Modern Europe. Quatr.us Study Guides, August 6, 2017. Web. April 24, 2019.